You are here: Home / Sponsored / PetSafe® KeepSafe® Break-Away Collar! Did you know that each year an estimated 26,000 collar strangulation incidents occur? That is crazy to me, but, it’s true! The majority of these strangulations happen when two dogs are “play biting” each other. But, now there’s a new PetSafe® KeepSafe® Break-Away Collar that will help prevent this from happening to your dog! They sent me the KeepSafe Break-Away Collar to try with Molly. We think its a great idea. I was concerned about how to use it on a walk, but, they have made it where you can use it for walks and not worry about the breakaway feature, as well as use it with the breakaway feature when she isn’t on leash. I never realized this was a problem, I would venture to guess most people don’t realize it either until it happens to them, so I am glad PetSafe is making us aware that this is a serious issue. Molly has always worn a chain collar. When I went to put the collar on she was afraid, she’s afraid of everything, when we got her we weren’t sure what she had been through. We got her from the shelter, we have spent a good bit of time helping her overcome most of her fears. Anyway, I got the collar on her and when the it snapped closed she really got scared, as I was trying to calm her and bring her to me holding the collar… you guessed it, it broke away! lol So, it works! ha! A survey of veterinarians, trainers and doggy daycares found that more than 50 percent have experienced a collar-related accident with a dog. To help educate the public about the risks of strangulation and dangers of traditional collars, PetSafe® brand is launching the first annual Collar Safety Awareness Week, October 18-24, as part of National Animal Safety and Protection Month. 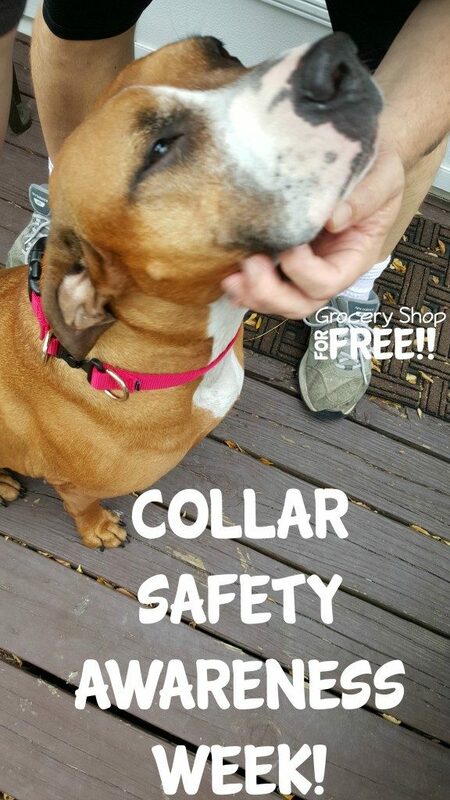 To learn more about Collar Safety Awareness Week, please contact [email protected].